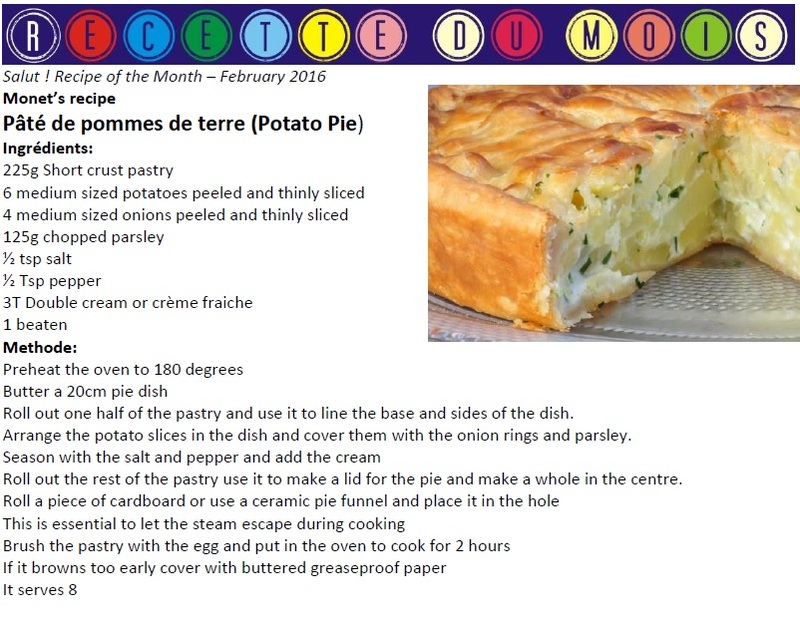 These recipes were on «Salut!» in 2016. 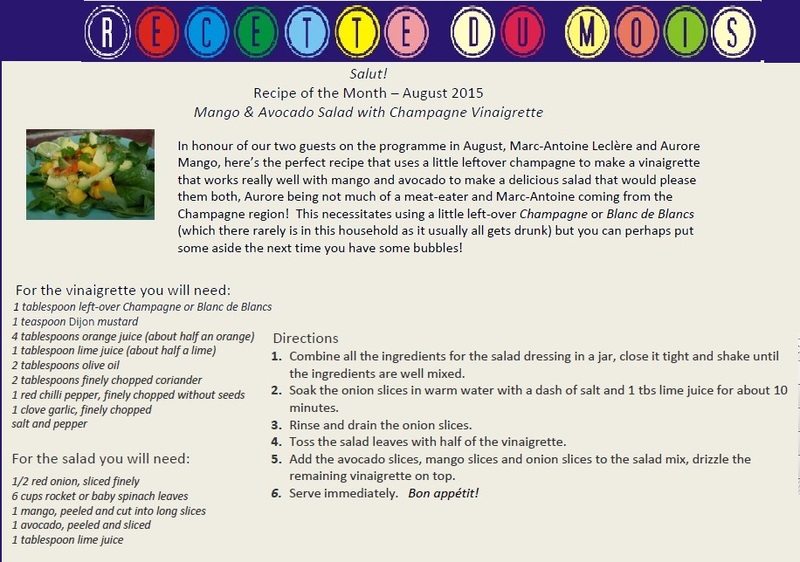 Please email the webmaster if you would like any earlier recipes from 2014 by clicking the email icon. 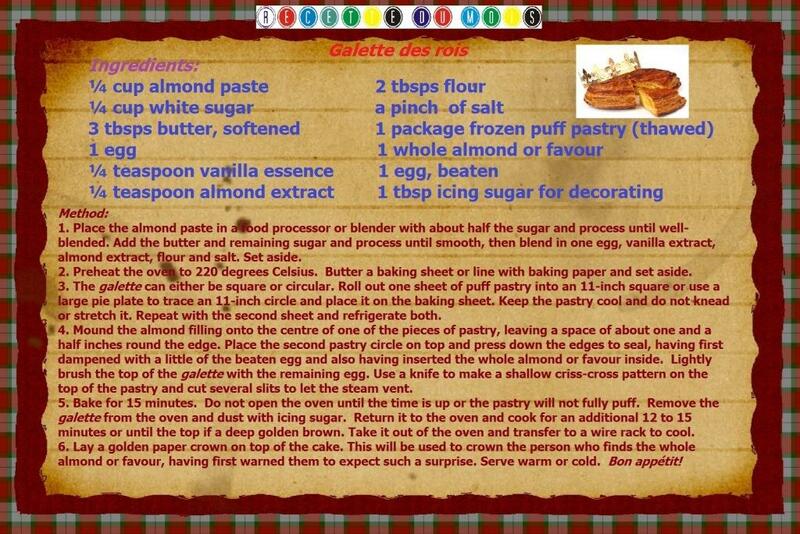 for our annual Fete des Rois celebration Bring a galette, your family and togs to welcome in the new year. June 2015 - Last month, at the close of the Franco Flamenco function that featured French novelist David Fauquemberg, we sampled sangria and tapas, including slices of Pissaladière, a pop-ular Mediterranean dish that features anchovies and olives. I make mine with a scone base but a pastry one is equally delicious !